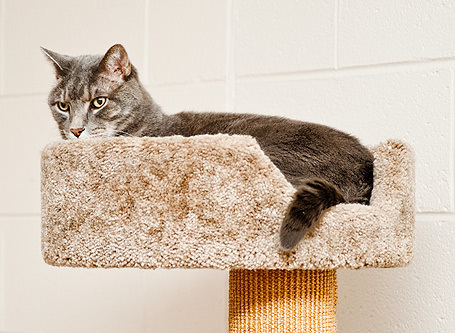 Located in our kennel is a sunlit room filled with carpeted tunnels, ramps and cat trees. 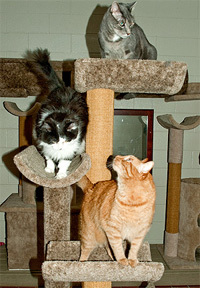 Here you will find the NGAP official tester cats romping, playing or just plain lying around enjoying treats and catnip. 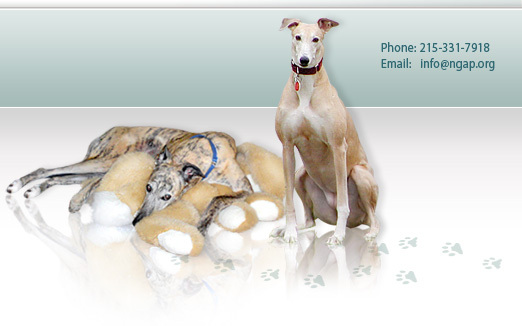 At any given time they are introduced to greyhounds. 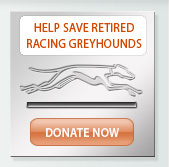 Their job is to help profile the dogs. Our family of cats has been selected based on their pesonalities that we feel best represent household cats. 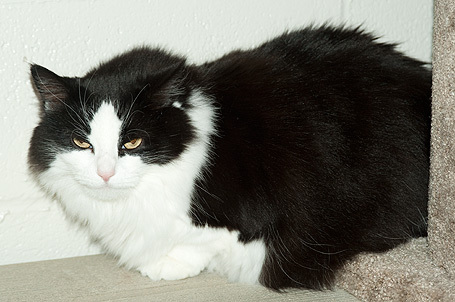 Many of our adopters have cats. Our extensive profiling includes exposing every greyhound individually to our resident cats numerous times to determine their response to cats. 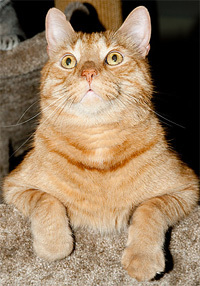 This ginger tabby was rescued by a kennel staff member and is our most friendly and curious cat. Grooming all his can buddies isi something Ernest enjoys doing. He loves attention but he will give you a little nip when he has had enough. 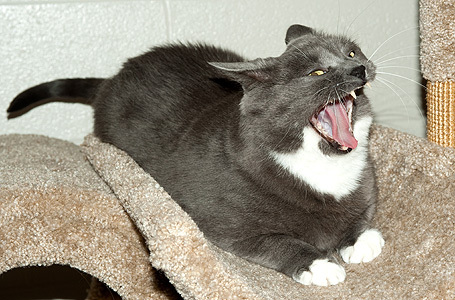 Or beautiful grey and white feline came to us as a kitten when a clinic staff member rescued her family. Maggie constantly calls for attention and ear rubs and is by far our most vocal cat. 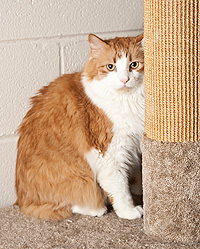 This orange and white male is Maggie's and Oreo's brother. He has a reserved personality but loves treats and pets. Maggie's sister is a wonderful black and white cat. She is very sweet. She is shy until she gets to know you and then loves to have her back scratched. 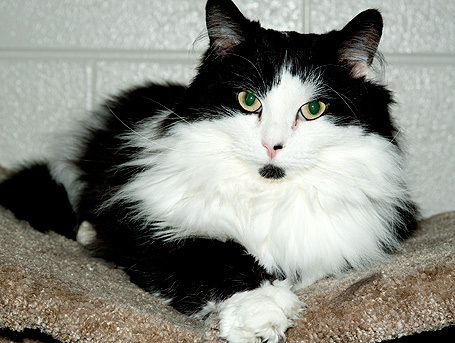 An office staff memebr rescued our black and white male. At first it was feared he was a feral cat, but he turned out to be a very mellow fellow. Chester enjoys being picke up and snuggled. Our grey and taupe senior resident is about 12 years old. 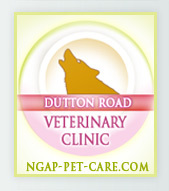 He has been with NGAP all his life either living with a caretaker or at the kennel cat area. He is a sweet smart cat who loves to figure out ways to escape and explore. Blue is the bravest of out tester cats.